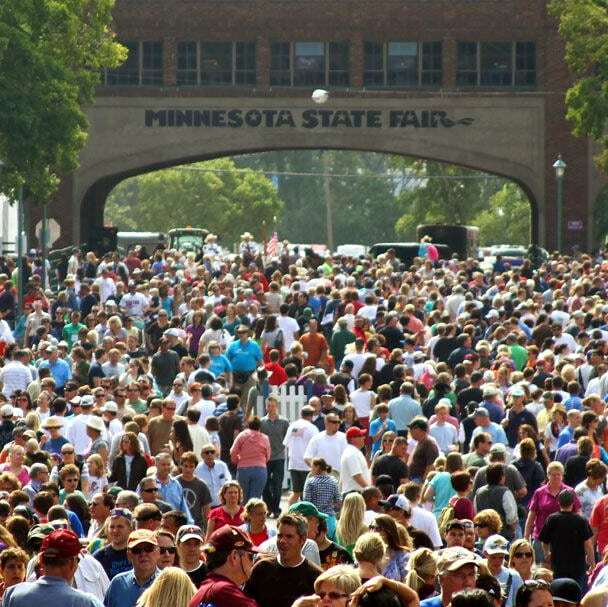 Attending the Minnesota State Fair is a great way to experience all the things the state has to offer in one place. Besides the thousands of friendly faces, it has outstanding food, music and activities for people of all ages. However, not to be a Debbie Downer, but all that fun comes at a price. It costs to park at the fair, eat at the fair, ride rides at the fair and take part in a lot of other activities. If you are coming in from out of town, you have to add gas and hotel accommodations to that list, as well. What if we told you we could stretch your dollars and cents even farther for your yearly pilgrimage to the Great Minnesota Get-Together, would you be interested? First, if you need hotel accommodations ditch the downtown Minneapolis and St. Paul options and stay at one of Richfield’s four great hotels. Nightly room rates on average are $50 less a night compared to similar downtown Minneapolis and St. Paul rooms. Plus, these hotels have a lot of amenities, such as free breakfasts and pools that will save you money and add to your vacation fun. Second, and we do not mean to be disparaging, but parking at the fair is for the birds. It costs $14 to park at the fair and that is a cost you incur even before you walk through the gates. Forget that nonsense! Ride the express bus that picks you up and drops you off in Richfield. It only costs $5 round trip and saves you the hassle of finding a place to park. Also, you can indulge in some of the great craft beers at the fair without having to worry about the drive home. Lastly, if you need a break from the fair, Richfield has a variety of free activities you can take advantage of while you are here. The city is home to the Wood Lake Nature Center, which boasts 150-acres of natural habitat. The park features several wildlife viewing areas, a 100-seat amphitheater, a picnic ground, and three miles of trails and boardwalks. Most trails are wheelchair accessible. The city is also home to more than two dozen pieces of public art that can be viewed as part of a walking tour. Pretty convincing, right? Do yourself a favor and save some money this fair season and stay in Richfield.